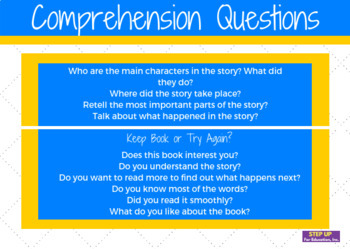 HELP YOUR STUDENTS CHOOSE BOOKS THAT GET ARE NOT TOO HARD, OR TOO EASY, BUT JUST RIGHT!!! sure they understand the book. 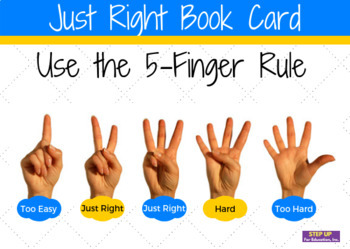 Get your copy of Just Right Book Cards today!